TBILISI, DFWatch–One more Georgian soldier is reported to have died in the war in Ukraine. Revaz Tsiklauri was reported dead late on Sunday. 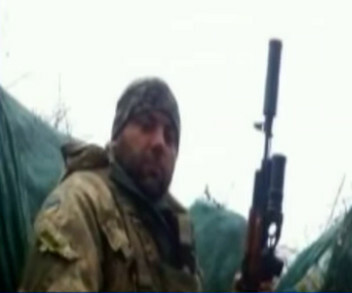 Tsiklauri died in the town Abievkaa, near Donetsk. A facility he was in was shelled. Tsiklauri was from the village Lapankuri, near Telavi in eastern Georgia, but had lived the last 13 years in Ukraine with his family. He served in in the military in Ukraine on a contractual basis and was a member of the 90th Air Assault Battalion. Mikheil Ukleba, Georgia’s Ambassador to Ukraine, told Rustavi 2 that Tsiklauri was a Ukrainian citizen. The embassy is awaiting official confirmation of the soldier’s death. He will be buried in Ukraine on Wednesday. At least seven Georgians have died fighting in the Ukrainian war which began two years ago.